Police are continuing to warn people to be on their guard against telephone scams, following recent reports of several calls received in Northamptonshire by conmen. There are a number of variations of the scam but in all cases the fraudsters will pretend to be from a trusted organisation, such as a bank, building society or even the police. The fraudsters encourage people to give them their bank details and PIN, transfer money into bogus accounts or even to hand over cash or bank cards to a ‘courier’. A recent variation of the scam is known as ‘number spoofing’, whereby the telephone number of the organisation the fraudster wants to impersonate is cloned so that it appears on the victim’s caller ID display when they telephone them. The offender will then gain the person’s trust by drawing their attention to the number, claiming this is proof of their identity, before trying to defraud them. Victims are ‘warned’ that unusual activity has been noticed on their account and is then fooled into ringing the 0845 number of the back of their bank card. The fraudster will use this number to ring them back and suggest they transfer any funds to a temporary safe account. Northamptonshire Police has urged anyone who gets any suspicious calls of this nature to hang up immediately, wait five minutes before using that phone in case the fraudster keeps the line open, or use another phone to call the police on 101. 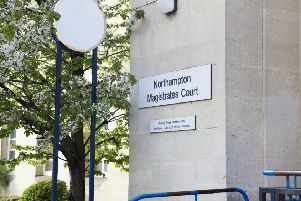 A spokesman for Northamptonshire Police said: “Many of the victims of this type of crime are elderly or vulnerable and it can be very distressing for them. Official police advice if you suspect you have been a victim of a scam is to ring the police on 101 or contact Action Fraud. Report any incidents to the police. Always call 999 if the crime is in progress. For non-urgent incidents please report to Action Fraud, the central reporting and recording system for fraud, on 0300 123 2040 or online at www.actionfraud.police.uk. For more information on fraud and online safety, visit www.northants.police.uk/crimeprevention.